Don't miss this living legend perform live! Why See Jerry Lee Lewis? An original member of the Million Dollar Quartet, Jerry Lee Lewis is one of the most influential musicians the world has ever known. Having topped the Pop, Rock and Country charts Lewis' talent ranges far and wide, speaking to the hearts of many fans across the world. Growing up in Louisiana young Lewis started playing the piano at the age of eight, honing his craft throughout his childhood Lewis was inspired by the travelling musicians and preachers that passed through his town. Signing to Sun Records in 1956 Lewis enjoyed local success jamming with Elvis Presley and Johnny Cash forming the iconic Million Dollar Quartet. Lewis garnered his own nationwide success with 1957's "Whole Lotta Shakin' Goin' On", which hit the top of the Pop, Country and R&B charts! Lewis continued his run of hits with his iconic "Great Balls of Fire" and "Breathless, both of which topped the charts. With stars like Mick Jagger, Keith Richards, Buddy Guy and Willie Nelson all admirers, Lewis was inducted to the Rock and Roll Hall of Fame in 1986. With over sixty years in the music bizz, don't miss your chance to see this living legend live! 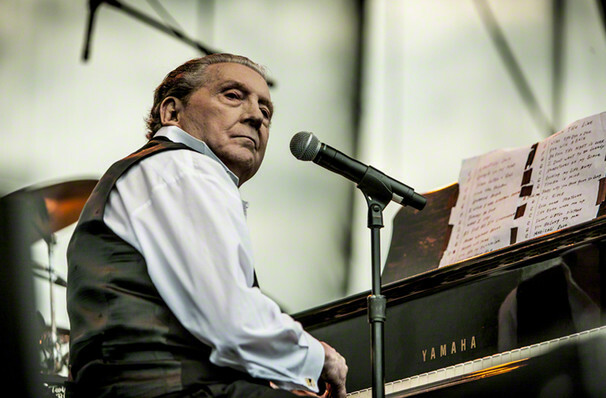 Seen Jerry Lee Lewis? Loved it? Hated it? Sound good to you? 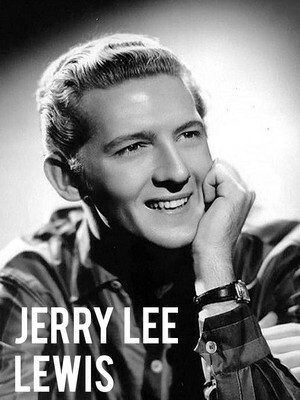 Share this page on social media and let your friends know about Jerry Lee Lewis at Schermerhorn Symphony Center. Please note: The term Schermerhorn Symphony Center and/or Jerry Lee Lewis as well as all associated graphics, logos, and/or other trademarks, tradenames or copyrights are the property of the Schermerhorn Symphony Center and/or Jerry Lee Lewis and are used herein for factual descriptive purposes only. We are in no way associated with or authorized by the Schermerhorn Symphony Center and/or Jerry Lee Lewis and neither that entity nor any of its affiliates have licensed or endorsed us to sell tickets, goods and or services in conjunction with their events.